Green Chlorophyll Essential to Vibrant Health! 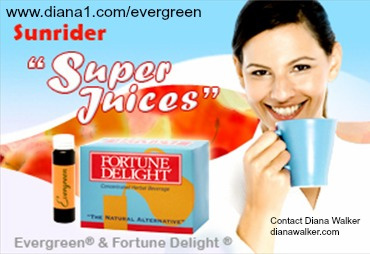 ...I use Sunrider liquid green Chlorophyll instead of taking out the juicer! It is easier and cheaper! I even add it to my Sunrider Calli Tea or to my Sunrider Fortune Delight! What is Chlorophyll? "LIFE BLOOD OF THE PLANT"
Chlorophyll contains life-giving nutrients that are easily assimilated by the human body. Chlorophyll is what absorbs energy from the sun to facilitate photosynthesis in plants. Chlorophyll to plants is like blood to humans. Chlorophyll is important in many plant metabolic functions such as growth and respiration. Its molecular structure is very similar to the molecular structure of the human red blood cell: hemoglobin, except that the central atom in chlorophyll is magnesium, while iron is central in human blood. It has the same effect as iron and is a natural blood builder. The benefits of chlorophyll have been discovered for many years in the field of science and research. Here is an audio from our Nutrition TeleClass with Diana Walker and Trudy Stoelting, on Tuesday, March 8, 2011 Hope you enjoy listening! Evergreen is Sunrider’s concentrated liquid chlorophyll. A superior source of oxygenation for the blood (circulatory system) and support for the digestive system, Evergreen is Sunrider’s wonderfully refreshing beverage that energizes the body and helps maintain healthy cells. ● Rich in iron, zinc and calcium, this liquid formula provides the body with important minerals and nutrients. ● Similar in molecular structure to hemoglobin (the substance in the red blood cells that transports oxygen from the lungs to the body’s tissue), chlorophyll enhances this important transmission process and promotes healthy tissue. ● Increases alkalinity in the body, helping to counterbalance the intake of acidic-foods (wheat, dairy, meat, sugar and most grains). Disease thrives in an acidic environment, while chlorophyll helps increase alkalinity, helping to prevent disease. ● Rich in enzymes, chlorophyll aids the digestive system in the breakdown of fats and carbohydrates so they can be used for energy. It acts as a natural energy booster. ● Topical application helps keep cuts and wounds clean, as well as helps to increase the rate of healing of cuts, wounds, burns and bleeding gums. 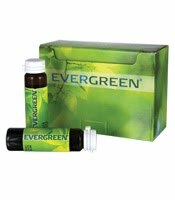 ● Though in a water base, Evergreen is formulated to become oil-soluble when the stomach acids act upon it, thus providing chlorophyll in an oil-soluble state (its natural form), which is most absorbable by the body. This formulation by Dr. Chen is exclusive to Sunrider; most other chlorophyll supplements are marketed in a water-soluble state for ease of manufacturing. This means they are not as readily assimilable as Sunrider’s formulation. Shake very well. 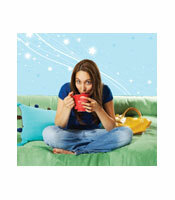 Drink straight from the vial or mix with water, Fortune Delight or Calli, adding Sunectar to taste. Be careful to rinse the vial so that no Evergreen is wasted. Consume within 16 to 24 hours. A concentrated mixture of Licorice, Chlorophyll, Iron, Zinc and Peppermint Oil in water.